Now accident of an exploding smartphone has been reported in the Philippines. 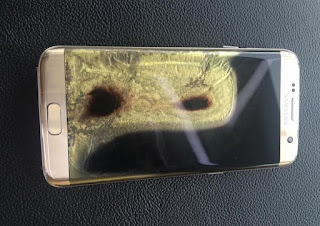 This time, it's a Galaxy S7 edge which burst into flames, allegedly without any external influence such as an incompatible charger or excess heat. 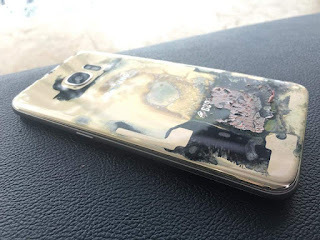 Thankfully, no one was hurt and Samsung gave the customer a full refund. As you can see, the handset suffered irrepairable damage, with both its display and back panel completely obliterated. Moreover, there have been several reports of replacement Galaxy Note 7 units overheating and catching fire, despite the company's assurance that the new batch of Note 7 handsets is safe to use.